This week I answered questions from people about health insurance cost and coverage rules, including how getting married or working here as a foreign national may affect them. Q. Last year, I had single coverage through the marketplace from January through May. Then I got married and canceled my policy because I had coverage through my husband’s job for the rest of the year. When I filed my 2014 taxes, we had to repay half of the premium tax credits for the months when I had a marketplace plan. Why? Those first five months I was single and relying on my own income. Why should my husband’s income be counted? A. The Internal Revenue Service has a special rule to handle situations like yours when people get married during the tax year. Though not a perfect solution, without it, chances are you would have had to repay even more of your tax credit. First, some background: The premium tax credits that people can qualify for if their income is under 400 percent of the federal poverty level (about $46,000 for one person) make coverage purchased on the health insurance marketplace more affordable. Like you, many people opt to receive the credit in advance and have it sent directly to their insurer, which reduces their monthly bill. The amount of the tax credit is based on your annual household income, which you estimated when you signed up for coverage. At tax time, your estimated income is reconciled against your actual income and, if the estimate was too low, you have you repay the excess, up to a cap. That’s the situation you found yourself in. 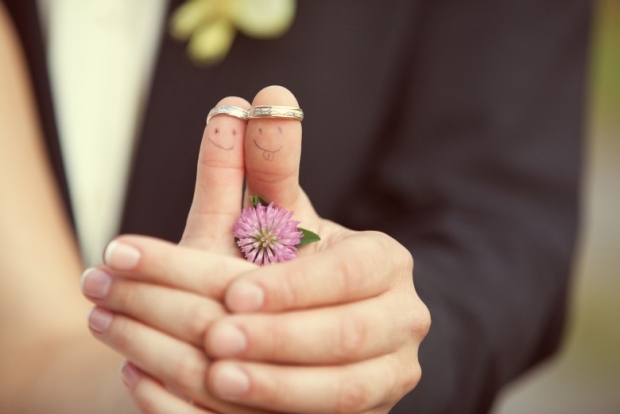 However, when people marry during the tax year, the IRS offers an alternative way of calculating household income that for many reduces the excess premium tax credit they have to repay. Under the IRS rule, the tax credit for the months when you were single is computed as if your annual household income were half of what it actually was. So if your joint income was $70,000 for the year, your tax credit will be computed on a $35,000 income rather than the whole $70,000. Using that alternative calculation will generally reduce how much people have to repay. Though not a precise income adjustment, “this creates at least some rough justice, in giving people a chance to simulate what they made when they were single,” says Judith Solomon, vice president at the Center on Budget and Policy Priorities. IRS publication 974 has step-by-step instructions on how to do the alternative calculation, and tax preparation software generally incorporates that option. Q. I am on a H1B visa, legally working in the United States. My employer provided my husband and me with health insurance, but it is costing us a lot. My husband is here on an H4 visa as my spouse. My question: Is it mandatory to have health insurance for him? What are my options? A. In general, people who are living in the United States legally are subject to the health law requirement that they have health insurance. There are some exceptions for foreign nationals who are here only briefly, but as someone who is living and working here and has employer-sponsored health insurance you likely pass the IRS test for having a “substantial presence” in the U.S., says Sonal Ambegaokar, a senior attorney at the National Health Law Program, an advocacy group for low-income and underserved people. To avoid the penalty for not having health insurance, you and your husband must have coverage unless you qualify for an exemption. Since you say that coverage is expensive, one possibility might be an exemption based on affordability, says Matthew Lopas, a health policy fellow at the National Immigration Law Center. If the cost of your plan is more than 8 percent of your income you’d be exempt from the requirement to have coverage. Q. If a person does not pay the premium and is charged a penalty for not having health insurance, is that penalty considered to be a partial payment of the premium and does it provide any health benefits? A. No on both counts. The penalty for not having health insurance, which you pay when you file your federal income taxes, is completely separate from the health insurance premium you would pay to an insurer to provide coverage. The penalty can’t be applied to insurance in any way and provides no health benefits. For 2014, the penalty is $95 or 1 percent of your income, whichever is greater. If you’re uninsured and didn’t realize you would owe a penalty for last year, you may still be able to sign up for 2015 coverage, says Cheryl Fish-Parcham, private insurance program director at Families USA, an advocacy organization. You’d still owe the fine for 2014 but you could avoid it for this year, and you’d have insurance that could provide benefits that the penalty cannot. If this scenario fits you, better get cracking. The special enrollment period ends April 30.